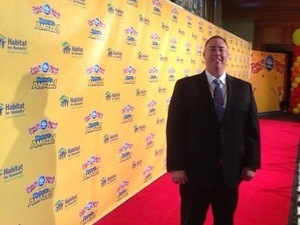 Brett Van Fleet was the operations and production manager of The Ringling Brothers and Barnum & Bailey Circus until it ceased operations in May 2017. He managed and scheduled rehearsals, ordered props and gear, assisted the general manager, and worked with public relations. Van Fleet has been with Feld Entertainment since 2007. He worked with Cirque du Soleil for a short period of time as the production coordinator on the arena tour of Dralion. Just before going to Cirque, he was a touring company manager at Feld Entertainment on Disney Live and Disney on Ice and traveled all over the United States, Canada, and Mexico with the circus. His tours have taken him to Italy, Puerto Rico, Dominican Republic, Columbia, Panama, Brazil, Guatemala, and China. He earned his Bachelor of Science degree in business administration majoring in finance and economics from Rockhurst University in Kansas City and has an MFA in theatre arts with an emphasis in stage management from the University of Iowa. Van Fleet is a member of The Church of Jesus Christ of Latter-day Saints. He says that traveling and working with the circus allowed him to meet people from all over the world and share his testimony of the gospel. This page was last edited on 3 June 2018, at 19:45.